Update: @ianwaring clarified things a bit for me on Twitter: Gruber is talking here about the small cutout portion at the bottom of the Moto 360’s LCD, which indeed could be characterized as a “flat tire” if you wanted to look at it that way. 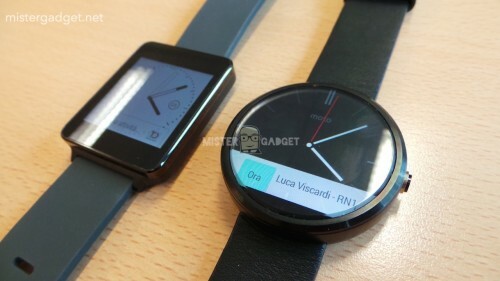 I know that Motorola has a reason for their design (the LCD driver chip has to go somewhere), but I can see his point. I’ll leave this mostly post as-is, because calling the design “stupid” remains petty, to my mind, but I can’t say that Gruber is completely wrong here. Update 2: I was giving this some additional thought (I hate when I get a story wrong), and the following image from AndroidWorld.it demonstrates the issue nicely. Now, looking at this image, I’m torn: I don’t find it “stupid,” as Gruber so crassly attests, but at the same time the driver notch does detract from the overall design. The LCD driver notch is quite visible here, and does detract from the overall design. Here’s my best guess: in spite of his protestations to the contrary, Gruver does have some inside information on what Apple’s smartwatch will look like, and it’s going to be round. Pointing out the “flat tire” nature of the Moto 360’s design is a way of making up for Apple’s delay in announcing its device. It’ll be essentially, “Yes, the Moto 360 beat us to a round design, but look, ours fills the entire screen!” If anyone can design around the driver chip limitation in such a design, for however much money it costs to do so, it’s Apple. I don’t think it makes a tremendous difference, and certainly the notch can be designed around, as in the following image. However, I can also see it being an unattractive element, and so again, Gruber isn’t entirely off the mark. It also gives Apple something to use in lambasting its competition, which if their design is fully round they’ll most certainly take full advantage. The LCD notch is hidden in this watch face, with the lower border hiding it nicely. Rotate this face 90 degrees, however, and things might not be so lovely. For myself, I’m looking forward to seeing what Microsoft releases. I do hope that it’s a Windows Phone-compatible smartwatch with simple notifications and excellent timekeeping, but it seems like we’ll have to wait a little while to find out. I’ve long recognized John Gruber as perhaps the world’s most fervent Apple fan. At least, he seems to have some of the best access to Apple inside information and is quite often looked to for the final word on the Apple rumor du jour. I can’t say I’ve read everything he’s written, nor even most (or much) of it, but certainly I can’t remember him saying anything overtly negative about Apple or positive about their competitors. “Stupid flat-tire display shape”? As in, it’s round, like thousands (tens of thousands? hundreds of thousands?) of wristwatch designs before it? 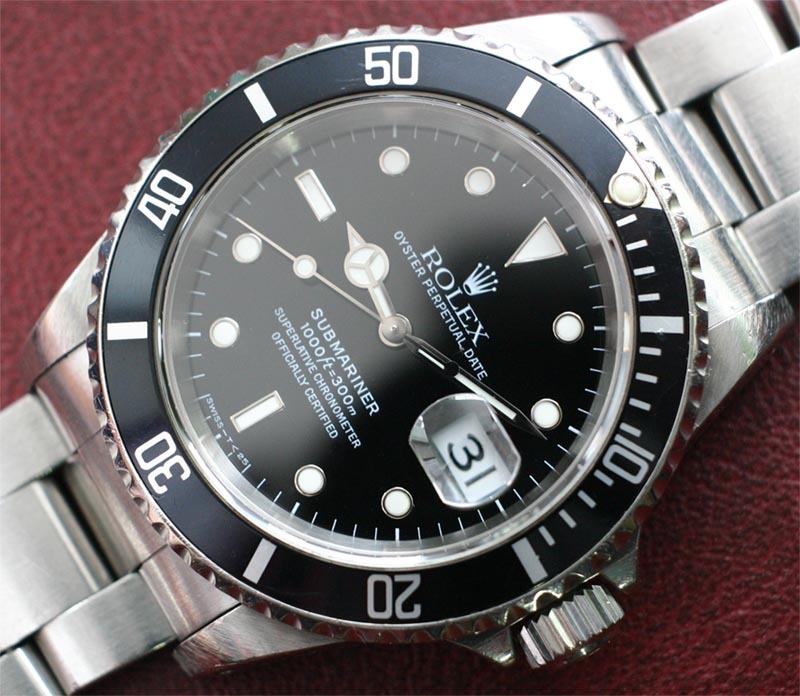 Indeed, like almost every other watch ever made? What, precisely, makes a round design “stupid”? Is a smartwatch different from a wristwatch in that it’s necessarily rectangular? Because I certainly don’t agree, not for something that’s going to be a fashion statement as much as a piece of technology. I welcome variety, and think a round display (on a smartwatch) can be quite attractive and functional. 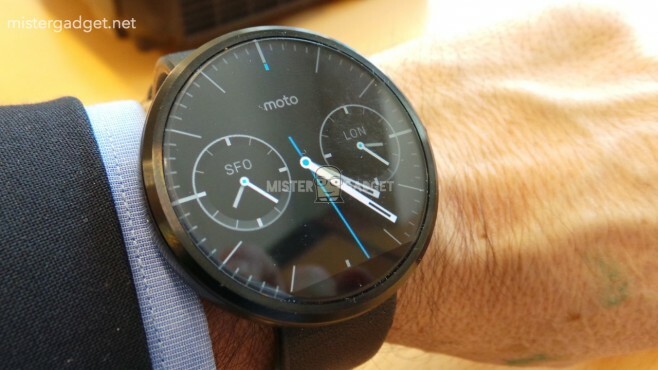 And what makes the Moto 360’s design a “flat tire”, as opposed any other round shape? Maybe I’m missing some context here, like Motorola staff insulting Gruber’s cat, but he seems petty here. The rest of the post (it’s a short one) implies an Apple watch announcement at their event next month, and that’s become big news–even though Gruber himself says he was joking. Personally, I find the post even more interesting for what it implies about Apple’s design (if anything, of course)–certainly, it shouldn’t be round, because I can’t imagine Gruber tossing out this aspersion if it could apply to whatever Apple announces. Of course, it could end up being round, just not a flat tire, making Gruber’s remark an end run of sorts. Or maybe it’ll be oval. Hmmm… Genius! Whatever it is, I’m sure that Apple’s design will be designated as magical by fans like Gruber, and the only way that a smartwatch can and should be designed. For now, I’m just curious as to why Gruber feels so strongly about Motorola’s design. Gruber is like the junior car salesman who spends 90% of his time just criticizing the competition, and in doing so simply highlights how concerned he really is about them. You seriously don’t think that display looks a little ridiculous? It does. Actually, I’ve come to agree with you since I wrote this post. It does look ridiculous. Well he was completely wrong wasn’t he. Yes, he was, good point.